The totally stacked Modern Baseball / Knuckle Puck / Foxing / Crying / Somos tour lands in NYC for its first of two shows tonight (12/12). Tonight’s show is at Gramercy Theater and then they play Music Hall of Williamsburg on Monday (12/15). You can still get tickets to Monday’s show but tonight is sold out. Updated dates are listed below. 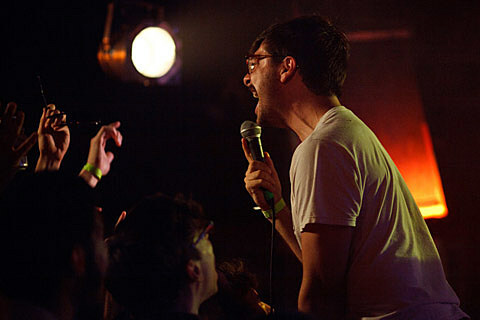 If you haven’t seen Foxing live, they’re the kind of band you really have to see for yourself to get the full experience. But to at least get an idea of what to expect, you can check out the band’s new live video for “Rory” that they filmed at The Fest this year. Watch it below.